Volkswagen has been making a big push to reinvent itself in the past year with new models or concepts arriving at Los Angeles, CES, Detroit, and Chicago. At Geneva, the automaker is set to debut the Volkswagen Arteon, the premium midsize sedan that will slot above the current Passat. The new model is the replacement for the handsome but aging CC fastback. Volkswagen's first teaser gave few details and just a couple of closely cropped photos, but we still make out a few new details. The Arteon's LED headlights now flow into the chrome on the grille, similar to how the red pinstripe on the Volkswagen GTI carries through the lights. 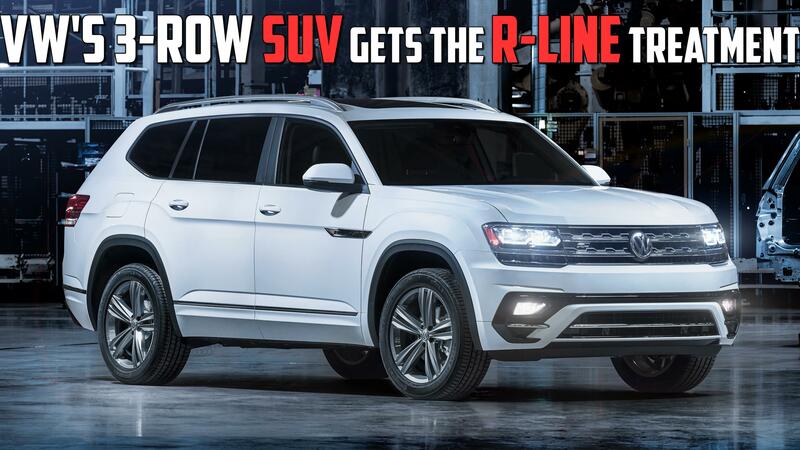 The entire front fascia follows the new design language set by the Volkswagen Atlas, with small VW badge and horizontal black and chrome bars across the width of the car. 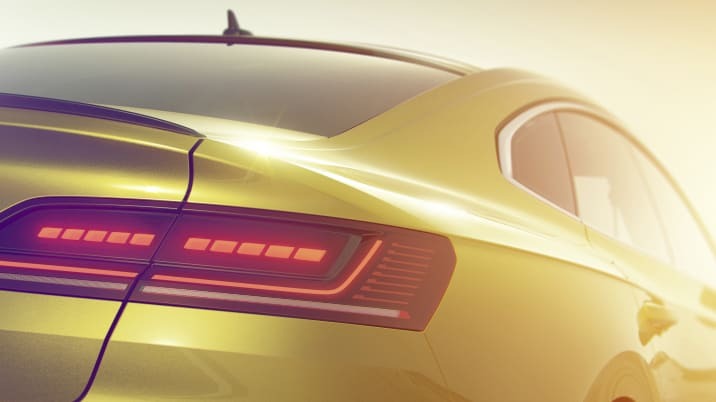 Out back, the LED tail light follows the Atlas trend, only inverted from the one on Volkswagen's new SUV. The only rear shot doesn't give a good look at the roofline, but expect a similar "four-door coupe" style profile. Volkswagen is promising ample head and legroom, so it may not be as aggressive as the outgoing CC. Look for more news in March after the Arteon's Geneva debut.